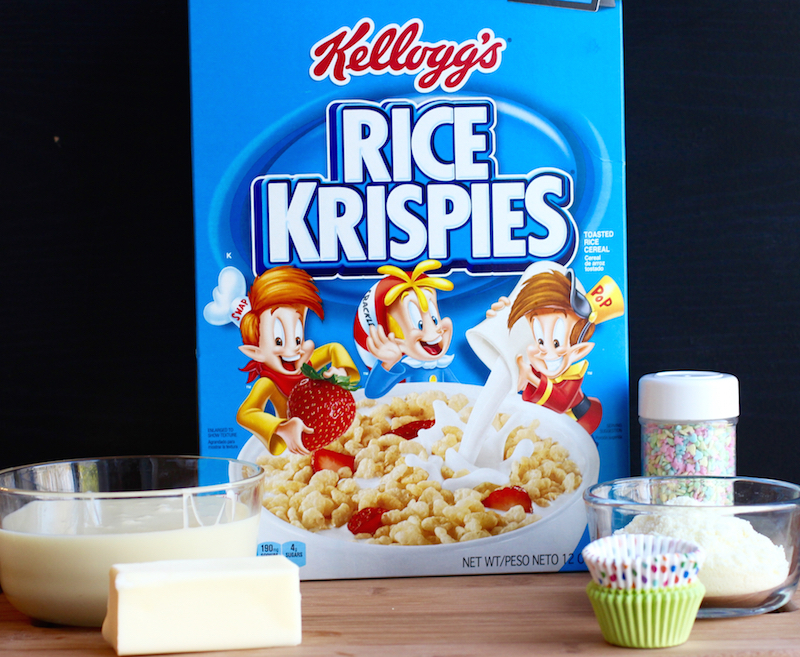 This is a sponsored post featuring Rice Krispies®. As always, all opinions are my own. The Brigadeiro is a traditional Brazilian candy, very popular at birthday parties and others special occasions in Brazil. 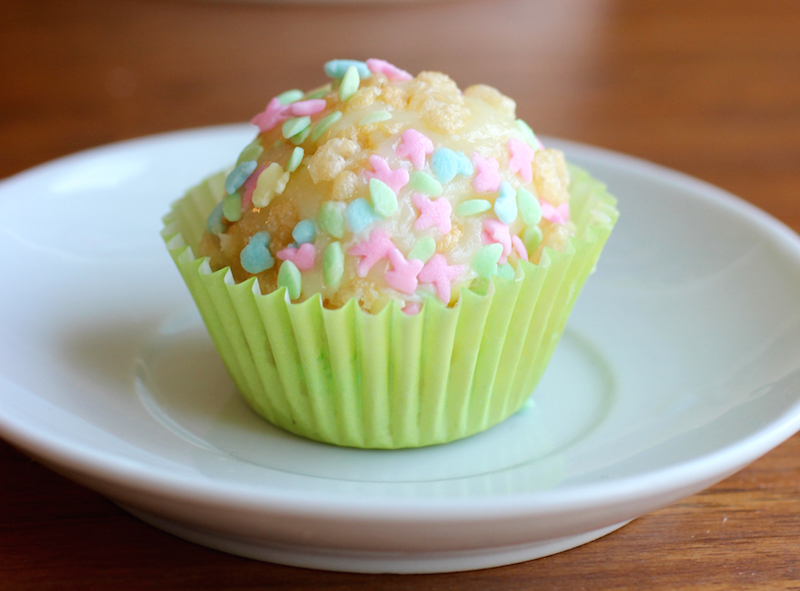 Brigadeiros are usually made with sweet condensed milk, powdered chocolate and butter, and are covered with sprinkles. There are also other variations using different ingredients, one such example incorporates powdered milk, white chocolate and ground almonds. 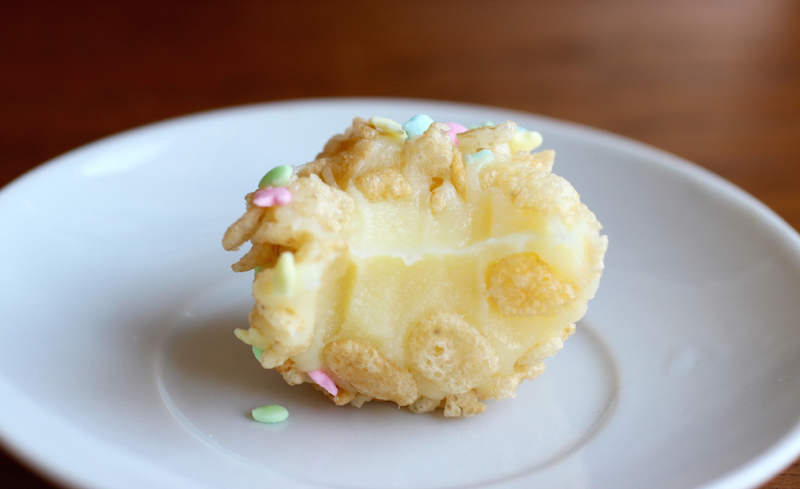 I already have a recipe for Chocolate Brigadeiros on my site and considering that Easter is just around the corner, I decided to make White Brigadeiros or Brigadeiros de Leite, as they are called in Brazil. 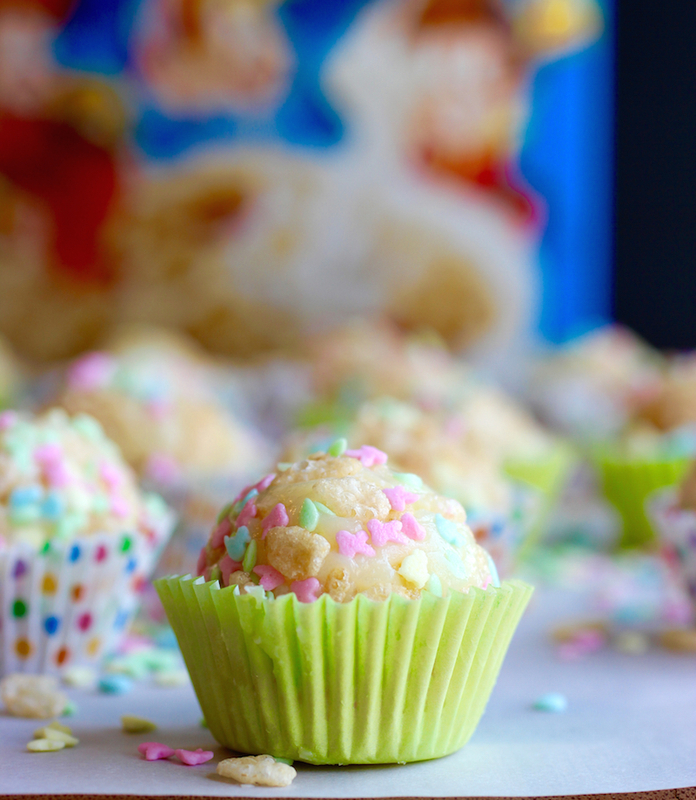 I coated them with Rice Krispies® and pastel colored sprinkles for an Easter inspired theme, but you could change the sprinkle colors in accordance with the holiday or occasion. For example, along with the Rice Krispies®, you could add red sprinkles for Valentine’s Day, red and green or white for Christmas, pink or blue for a baby shower, etc, etc. The possibilities are endless! The Brigadeiro is easy to adapt to suit your taste and occasion – use varying flavors of chocolate, dulce de leche, or even peanut butter! I look forward to exploring throughout the year. 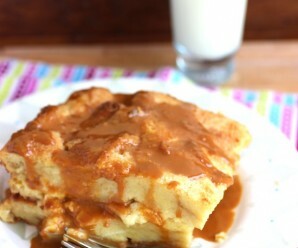 This recipe is perfect for that quick dessert that you can throw together in little time. 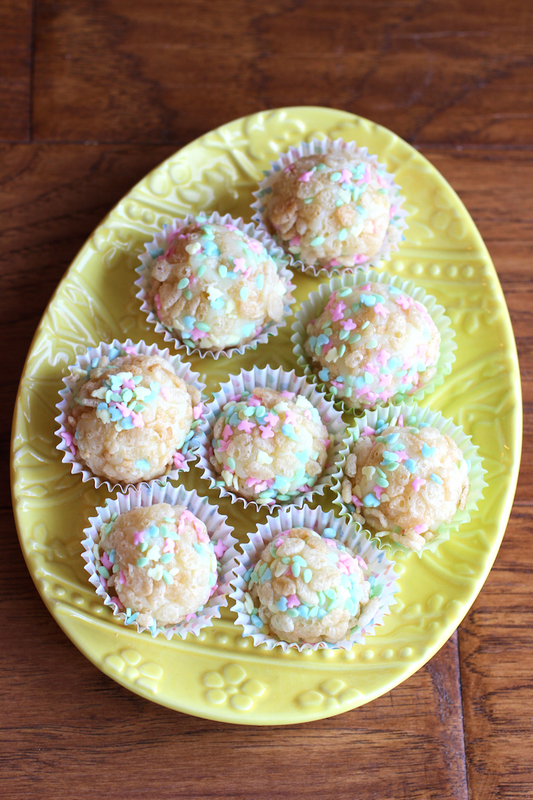 Seriously, these treats couldn’t be any simpler to make and you only need a few ingredients! 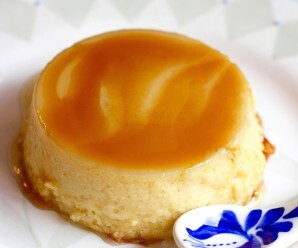 All you need to do is cook the sweet condensed milk with the powdered milk and butter, let it sit until it sets and you can easily scoop it up and roll it into neat little balls. 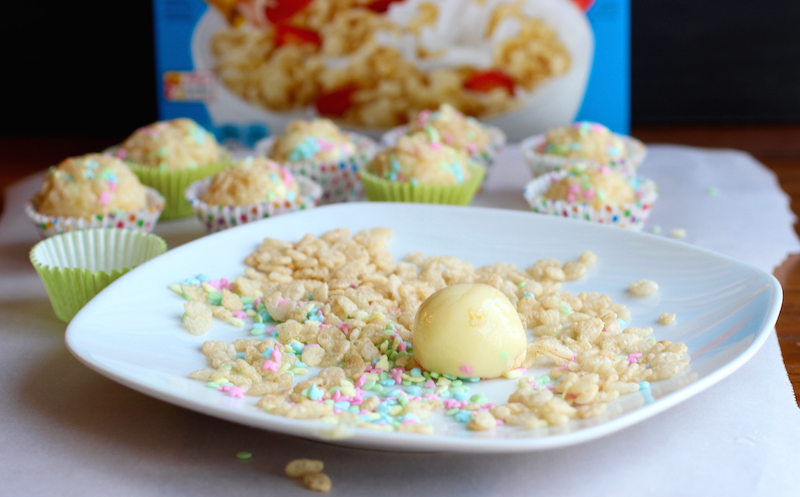 Finish them off by covering with Rice Krispies® and sprinkles. 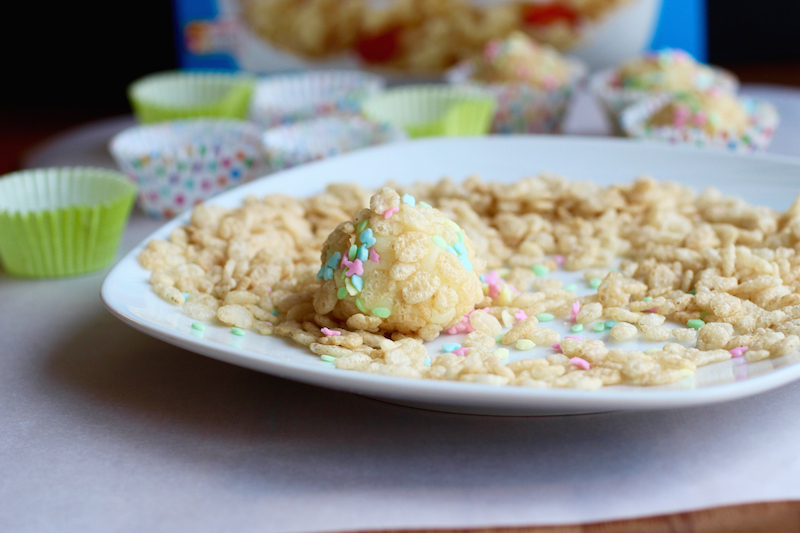 The Rice Krispies® covered brigadeiro is not a traditional way to make this treat, but I love the contrasting smoothness and creaminess of the brigadeiro with the crunch of the crispy rice pieces. 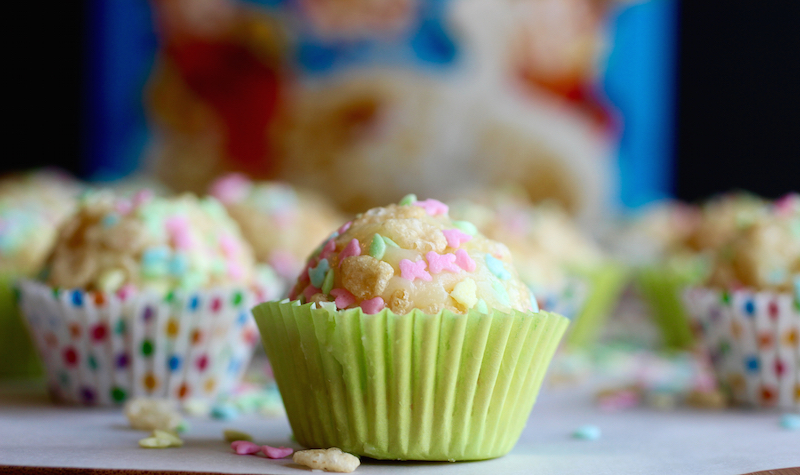 So next time you go the market, grab a box of Rice Krispies® along with the rest of ingredients and make a batch of these simple yet delicious treats. 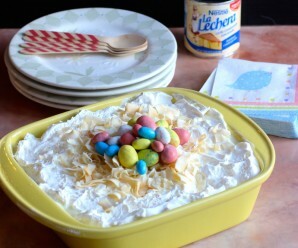 Adults and kids alike will devour them…at least that’s what happened in my house! 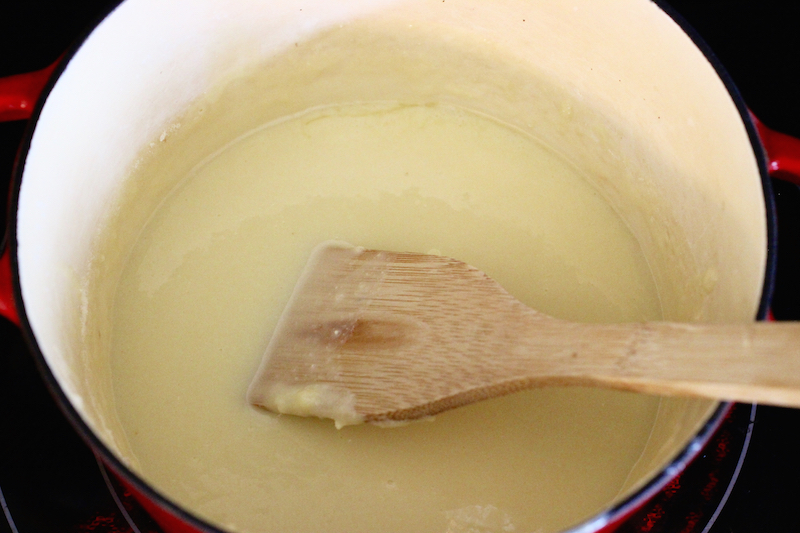 In a medium saucepan over medium heat, combine milk powder, butter and condensed milk. Cook, stirring occasionally for about 10 to 15 minutes. The consistency should be thick. Remove the saucepan from the heat and transfer to a plate or mold and let it sit for about 45 minutes or place in the refrigerator for 20 minutes. Grease your hands with butter. 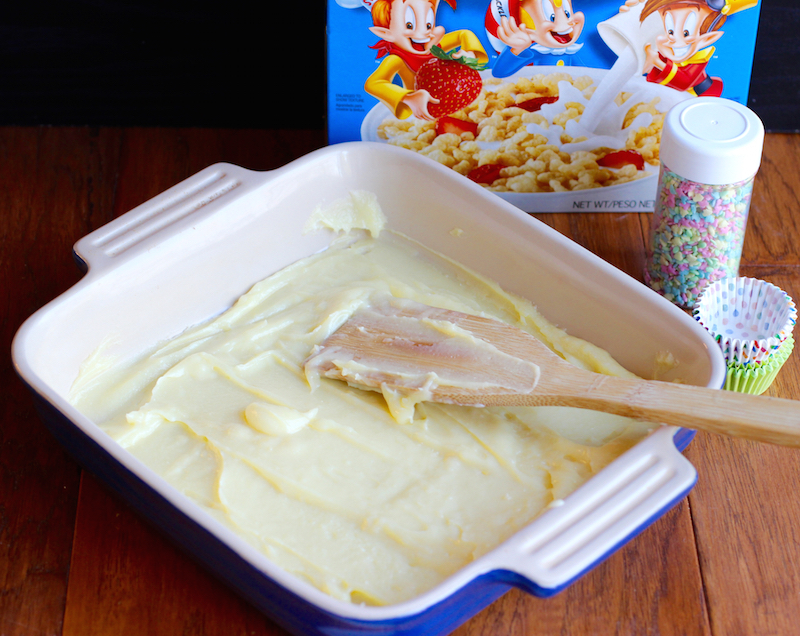 Scoop the mixture into small balls, about 1 teaspoon, then roll them in the Rice Krispies® and sprinkles. 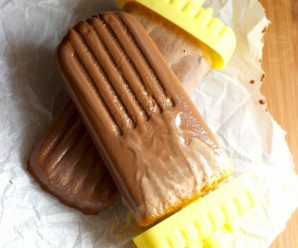 Place in parchment paper or little paper molds. 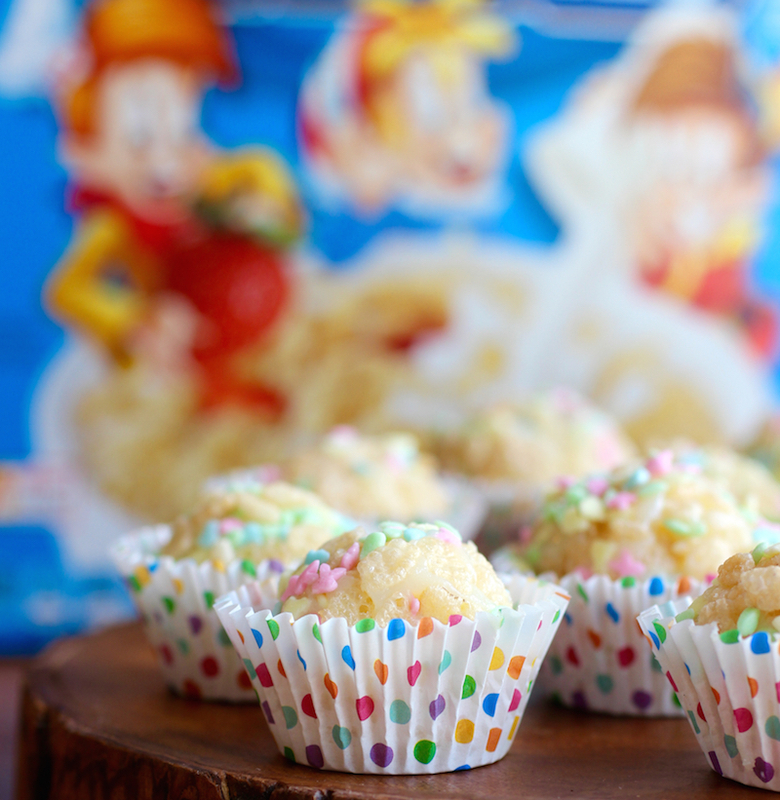 Get even more fun and delicious recipe ideas using Rice Krispies® by following them on Facebook, Twitter and Pinterest! 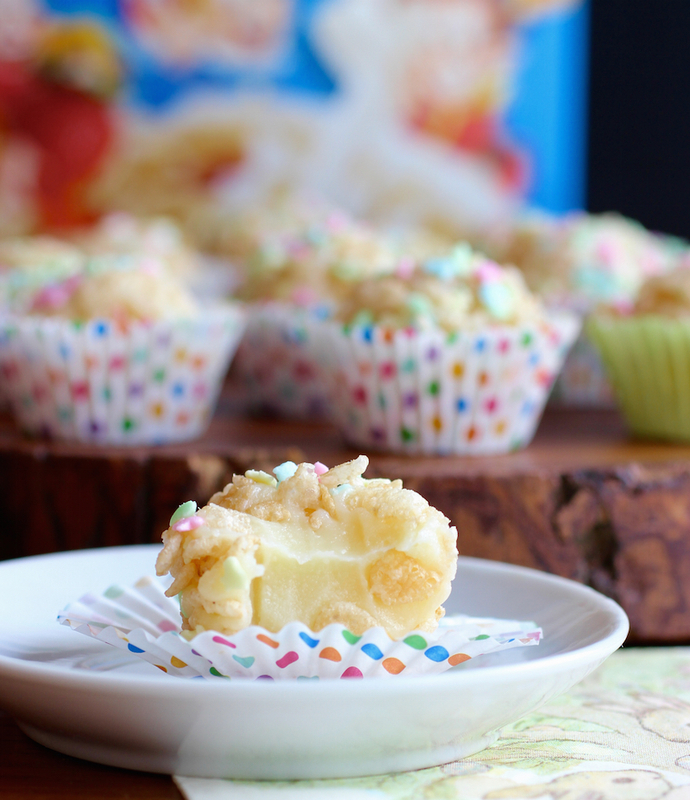 simple but so delicious, and with a great crunch from the cereal! nice one, erica!